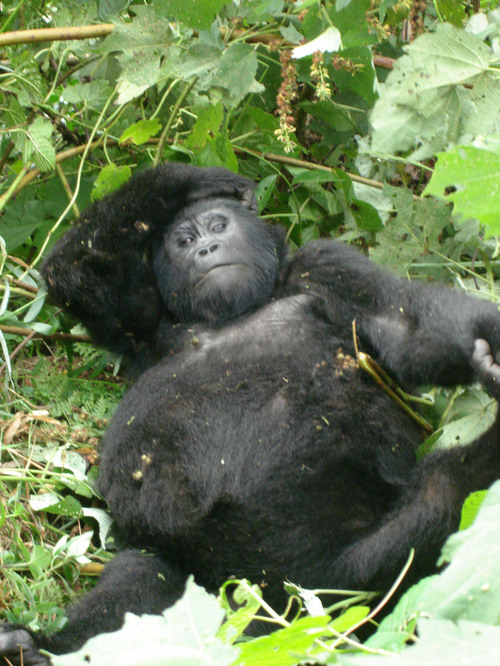 The trek is limited to eight (plus guides and guards) and once the gorilla family is located, the visit is limited to one hour. The family is generally 12-20, with the silverback dominant male in charge. Frequently, other adult males will also stay in the family, but they are also routinely ostracized and then become dangerous and aggressive. As you can see, we interacted very closely.